Although I can't recall the exact date (or even year) that I first watched Amélie, it seems like it's been one of my favorites for years. Originally released in 2001, this French film is about a young girl raised and schooled at home by parents who were trying to protect her since they mistakenly thought she had a heart defect. Since Amélie is without playmates, she develops a world of magic and mischief inside her head. She loses her mother young and watches her father become more reclusive as the years go by. When she is old enough to venture out on her own, she moves to an apartment in Montmartre and works as a waitress at the Café des 2 Moulins (Two Windmills Cafe). Her wonderfully quirky apartment shows the imagination that she had a child still lives openly within her as a young adult. One day a loose wall tile is exposed in her apartment, and the box she finds tucked inside will change her life and sense of justice forever. She is determined to find the present day version of the little boy who stored his treasures in this box 50 years ago. When she eventually and anonymously finds the man and returns his box, it sets off what I like to call "the happiness effect". As a loner, Amélie doesn't have many human connections, but the joy that this small act brings both Dominique Bretodeau (the boy, 50 years later) and herself makes her seek out more missions. In the midst, she forms friendships with coworkers and neighbors...and she finds love with another eccentric and somewhat lonely soul. I can only describe it as quirky, fun, clever, complex, and feel-good. And aren't those all things we could do with more of in today's world? Guess what else there is a lot of in the story? Food! 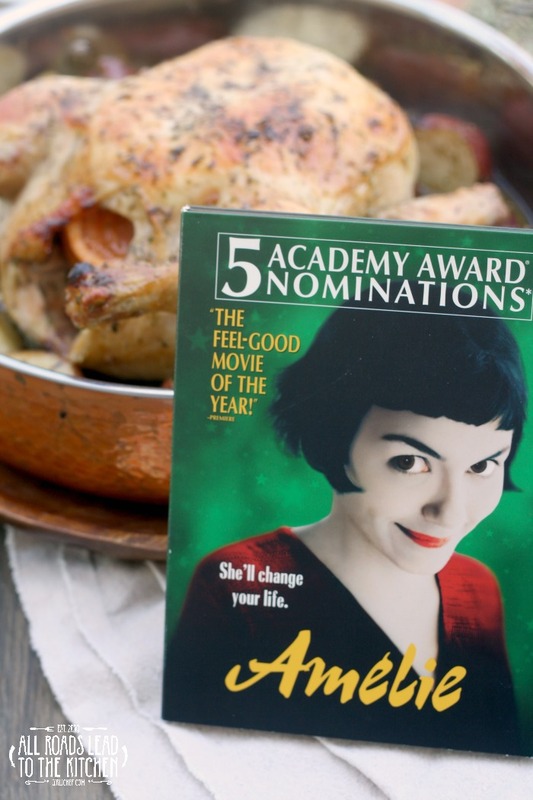 But let me interject for a moment, tell you what inspired me to dust off my copy of Amélie and talk about it today—the Fiction Kitchen podcast. I've mentioned it before, but I like it so much that I'm mentioning it again. This twice-monthly podcast by Carrie from Witchy Kitchen and Diana from Fiction-Food Café is all about my favorite thing, food in fiction. They pick a title of a book, movie, or tv series (or some combination thereof) to discuss...but they also make food from or inspired by that pick. Sound familiar? Of course I love it. Recently they've started posting their next couple of picks so that listeners who want to be (like me), can be mentally prepared for an episode. I love hearing both of their takes on the work and seeing hearing about what they came up with in their kitchens...but being a hands-on kinda girl, I'm often itching to join them. So, every once in a while now, I'll probably jump in and watch/read/cook/bake the upcoming pick. Long story short, they'll be discussing Amélie on their next show (this weekend), and that was my inspiration. "Every Tuesday morning Dominique Bretodeau buys a chicken. He roasts it with potatoes. After carving the legs and wings, he loves picking the hot carcass with his fingers, starting with the oysters. But not today. Bretodeau won't buy a chicken." There's definitely inspiration to be found in most of the scenes, and the recipe I went with is pretty basic, but it's also one of my all-time favorite comfort foods—a simple roasted chicken. This scene happens early on, when Amélie is discovering how good it feels to make others happy. We're introduced to Dominique Bretodeau by means of his Tuesday ritual. Every time I watch that scene, I want to be pulling chicken from that carcass...risking the skin of my fingers to pick at a fragrant bird just out of the oven. So I did. 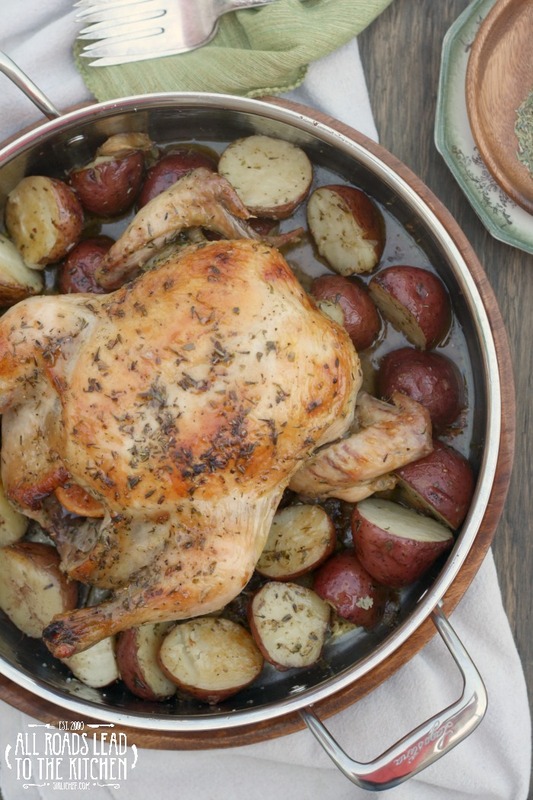 It's a basic roasted chicken, nothing fancy...with potatoes, like Dominique Bretodeau. But I seasoned it with a homemade Herbes de Provence blend as a nod to the film's French origin. Just the smell of it roasting brought tears to my eyes. I wasn't kidding when I said it was my comfort food. With so much other food either visible or mentioned in the film, I also made an Amélie-inspired menu to go with this recipe today. To see that, scroll to the bottom of this post. If you're already a fan of this film or if you want to hear more, you can listen to Carrie and Diana discuss it on the Fiction Kitchen Amélie podcast now! 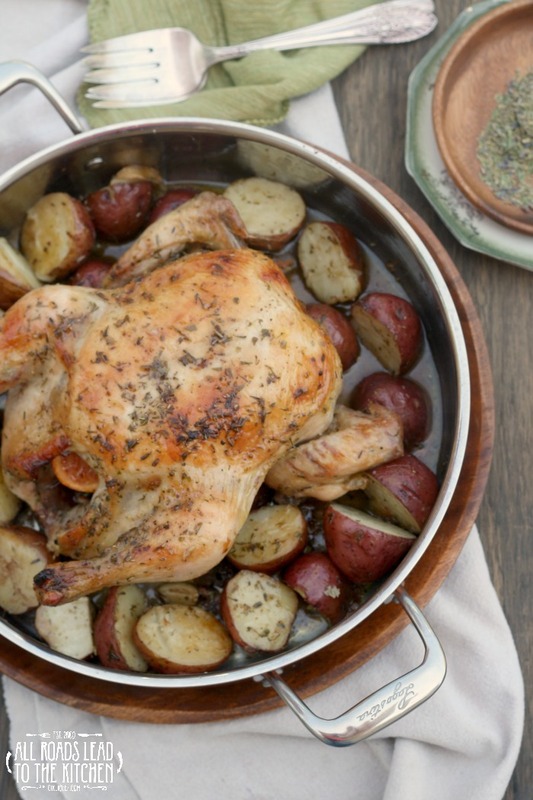 Juicy roasted chicken and potatoes seasoned with a homemade Herbes de Provence blend are the ultimate comfort food. Combine all of the ingredients and store in an airtight container. 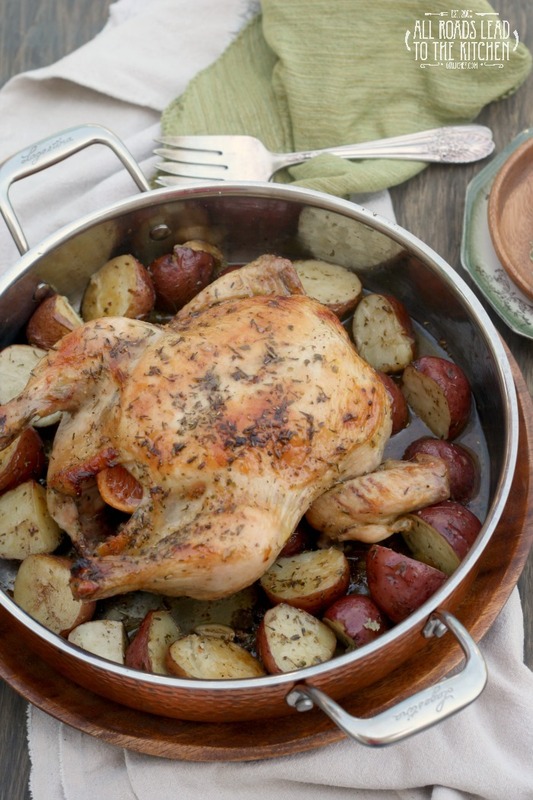 Use to season chicken, turkey, fish, and veggies (or whatever you choose). Place the potatoes, garlic, and shallot in the bottom of a large roasting pan.Drizzle with olive oil, sprinkle with 1 teaspoon of Herbes de Provence and a good smattering of salt and pepper. Stuff the grapefruit into the cavity of the chicken along with another teaspoon of Herbes de Provence and a sprinkling of salt and pepper. Rub some olive oil onto the surface of the chicken, sprinkle with the remaining teaspoon of Herbes de Provence and season with salt and pepper. Set on top of the potatoes, breast down. Slide into preheated oven and roast for ~15 minutes per pound, flipping the bird breast side up halfway through roasting and moving the potatoes around at the same time. Chicken should register 165° F on an instant-read thermometer when inserted into the thickest part of the meat when done. 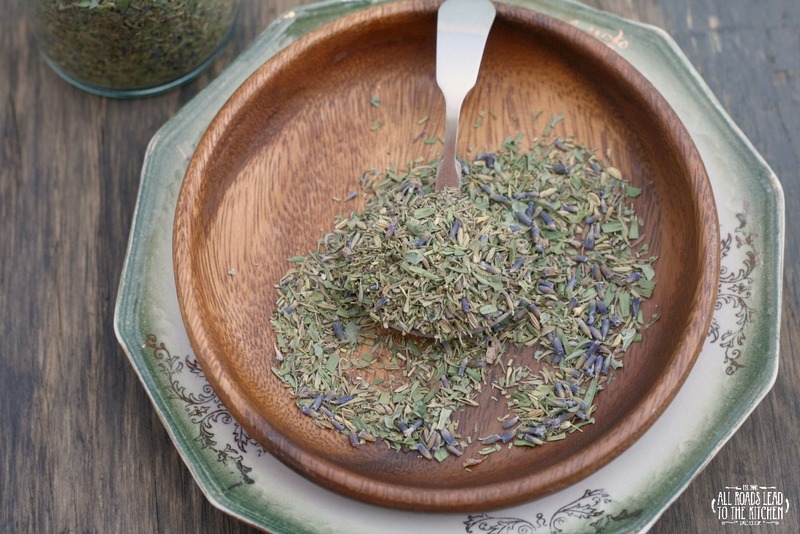 Herbes de Provence is a mixture of dried herbs typical of the Provence region of southeast France, though it wasn't a blend found in traditional French kitchens. 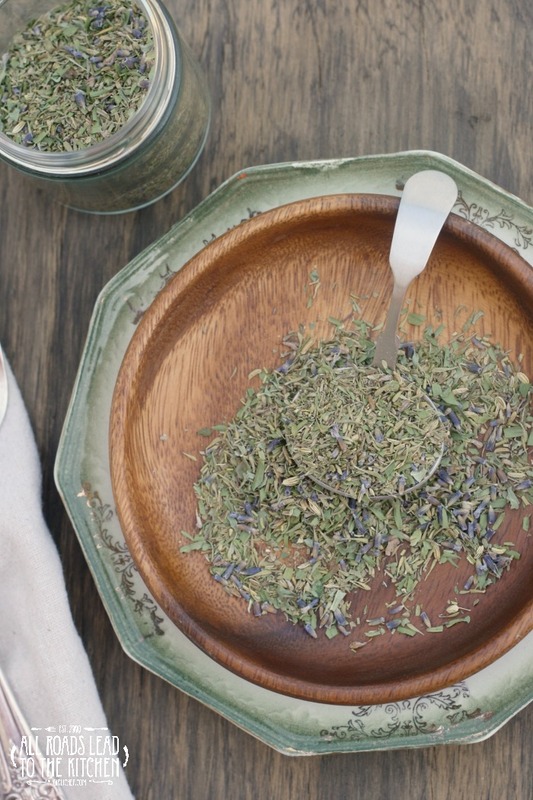 If you like, you can grind the herbes de provence ingredients together using a mortar and pestle (or spice grinder) to make a finer blend. Amélie dips her hand into a bin of split peas and Collignon sleeping in the cauliflower. No "hat like a tea cozy" required to enjoy this soup. Inspired by Dominique Bretodeau's Tuesday night ritual. According to "the glass man", you should be happy if you're eating this dish. The same dish of endives in white sauce that was on the Two Windmills menu. A tempting cheese tray assembled by Lucien from goods at the market. Amélie is baking her famous plum cake again! Crack the sugar with a spoon, then enjoy the rich custard underneath...with juicy raspberries on the side.